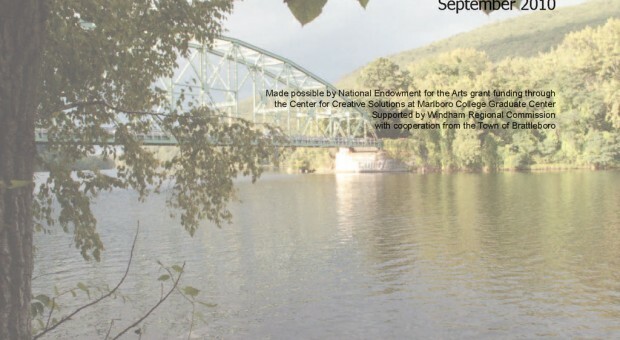 Over four years and throughout several interconnected efforts, Michael Singer Studio has been involved with the reimagining and planning of the post-industrial downtown riverfront site of Brattleboro, Vermont. The studio led a community participation process that included public workshops, meetings, presentations, and focused stakeholder work sessions. The public participation process highlighted the need to balance the potential public benefit of this brownfield site in the context of its remediation, public improvements and long-term care costs. The general consensus was that a limited amount of private development should be allowed so long as it serves the public and supports the open areas along the river. The project included visualizations of various degrees of riverfront development to help the general public grasp the spatial consequences of their financial decisions. Michael Singer Studio was also engaged to work closely with the site’s environmental engineer in order to ensure that the Brownfield Corrective Action Plan will take into consideration the greater context and long-term efforts involving the site. As part of the brownfield related work, the studio examined numerous existing reports and was able to demonstrate that the parking capacity could be cut by more than 50%. The studio also introduced low impact development practices into the Brownfield Corrective Action Plan so that stormwater will be managed on site. Following the brownfield work, Michael Singer Studio created a phased approach to the site’s redevelopment combining public amenity with private development. The studio’s work was able to demonstrate that a fully private development would be financially unfeasible, and that some sort of public-private partnership would be necessary. Possible approaches to forming such partnerships were provided, as well as a list of potential state and federal funding and other support sources. The full report for this phase of the project is available here. While the report was being finalized, Michael Singer and studio colleagues participated in leading a Center for Creative Solutions workshop. Renewing the Riverfront was conducted as a nine day studio workshop and included professionals from a variety of disciplines, working collaboratively to identify temporary program opportunities at the site. Workshop participants worked with local media to create a highly public process culminating in a participatory exhibition at the Brattleboro Museum and Art Center. The exhibition was featured on the front page of The Design Observer and can be read here. Learn more about the Center for Creative Solutions here.